Does your bank alert you to fraudulent activity on your card? I’m always wary of answering withheld numbers. The past few years spent fighting back offers of new phone contracts and fictitious compensation claims have me hanging up when I see ‘no caller ID’. But having relented a couple of weeks ago, it was an unknown call I was glad to receive. A recorded message purporting to be from my bank told me that it had intercepted fraud on my account, and that I must call the bank immediately. Worried, I did just that. Having gone through the security checks, I was alerted to the fact that an hour previously, someone had attempted to purchase £1,700 worth of jewellery in the north of England using my old debit card – a card I had destroyed months ago. I was reassured by Barclays that the transaction was blocked, and that any money that had been debited from my account was already reinstated. I’m not the only one who has been pleasantly surprised by a bank’s efficiency in preventing fraud. Our investigation into card fraud in Which? Money last month shows high levels of satisfaction with the way that credit and debit card providers respond to fraud, and contains plenty of stories where fraud victims have been dealt with sympathetically. Yet there’s still room for improvement. We also found many people who’ve waited more than a month to get their money reimbursed, with a minority waiting between three and six months. Indeed, the financial regulator has announced that it’s going to look into delays in fraud refunds. But with £450m lost to card fraud last year alone, it’s encouraging to see that the banks are fighting on your behalf. And I’m happy to endure the odd sales call if it means that my money is protected. 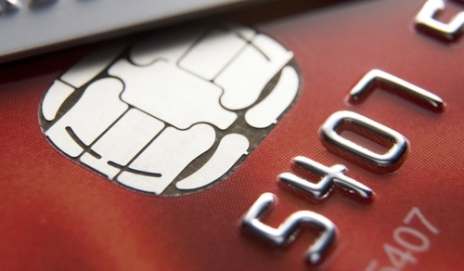 Have you been affected by card fraud? How did your bank respond to the fraud – was it quick to reimburse you? I got a statement from tesco mastercard and saw that the first 5 entries were not me . Some were at various Tescos miles away from where I live and one was for a national express ticket. They had also had a refund on one of the items purchased(presumably a failed attempt to get cash). Tesco cancelled the card and issued me with a new one.I generally clear my account at the end of the month to avoid interest charges, they told me if I cleared the account less the fraudulant purchases that this would be fine. I did and incured no interest charges. They said that they would send me a form to sign to confirm that I had not made the purchases and that it was important that I returned this asap (within two weeks max) otherwise they would be charged back to my account. So in general they were effecient. the only thing that did concern me was at some stage in the future I was checking my online account I noticed that there were still statements showing for the old credit card with overdue balances. I rang them about it and they said not to worry this was just the way their system worked. I think the mobile connectionis valueable tool. But how does this work if a person is Deaf/Hard of hearing? My banks send me texts on my mobile phone, Cece. ” A flaw in Visa’s contactless credit cards means they will approve unlimited cash transactions without a PIN when the amount is requested in a foreign currency. Its reassuring to know everything has been sorted out ….oh you mean it hasn’t!! Also said this over on the ‘contactless conversation’ ……..
There’s an odd thing about these reports of massive security loopholes that are childsplay to get away with. Where are all the follow-up stories of contactless card-holders being fleeced for 999,999 Euros or US$? If I were a bit younger and a lot less honest, I’d be on to a loophole like this in a flash. But no, there are no such reports. bib1 – I used to work in Banking and the knowledge that cards could be cloned was much more recognised in the Banks before it became mainstream public. The answer by the industry would be its only a small percentage, we will sort out a new system, etc etc but we do not want the public to lose faith in this system which saves us having branches and lots of cashiers. Of course this did also require a stone-walling of people who swore they had been rooked. Generally speaking if they tell people up-front like the Newcastle project it means the fix has been applied. You have to note that it was launched with this error included and draw your own conclusions about the safety of the system and how rigorously it is tested. So the reports that are interesting are the ones where it is reported after the money has been stolen. And there are plenty of those if you read the right sites. Newspaper generally do not like to over emphaise them as newspapers like to believe the reassurances offered and generally lack the technical knowledge to challenge. And they do realise that Banks advertise lots. Of course Banks are not shy of suing others over data breaches whilst quite conciliatory over their own failed security. You will appreciate that there are probably one hundred juicy stories from around the globe over the last five years reported but rarely in the UK which may explain why we the public feel overly safe. Card blocked, fraud investigation out. Great service. I checked my on line banking last week only to discover a pending transaction for £599.94 for an online purchase in the USA. I was in the USA in Nov 2015 and only used my debit card twice to pay for hotels in Las Vegas and Orlando. I had notified Lloyds bank in advance of this and given them a three week window of my time there. I contacted the bank and they cancelled my card and issued a new on immediately and the transaction was cancelled. My concern was that when I asked the bank why they had not alerted me of this transaction they said it was because I had ‘recently’ used my card in the USA. Why bother giving the bank a time period my card was going to be used and then for them to ignore it? On the plus side whoever ordered the goods didn’t receive them and my money was safe. I have been the victim of card fraud 3 times, the first time was with a Debenhams card, I was refunded as I had hospital appointment to prove I was not 100 miles from home, the second time someone purchased 2 mobile phones , the phone company sent me 3 final demands the fourth was to take me to court, I agreed to this as I could prove my age was different to the one stated, after that the letters stopped. the third time I received a call from Barclaycard to inform me my card had been compromised so it had been cancelled I am waiting for the new card any day now. You could say I have been unlucky but as far as I am concerned I have been lucky as no funds were taken but it still leaves a bad taste in your mouth, my only hope is what goes around comes around. In addition to this, neither First Direct nor Nationwide called me to ask whether the transactions were genuine despite the fact that I have rarely, if ever, spent those sort of amounts of money from either of the accounts despite being with them both for many many years. I had it done twice with clydesdale then recently but they are not willing to gave me my money back this time.